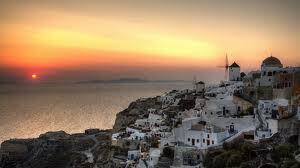 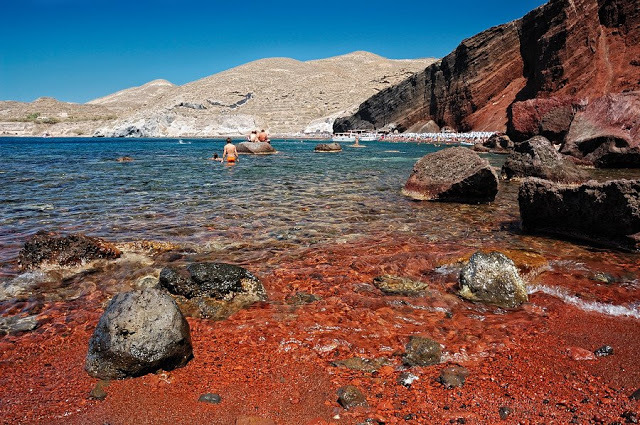 The environment of this island is totally different from any of the other Cycladic islands. 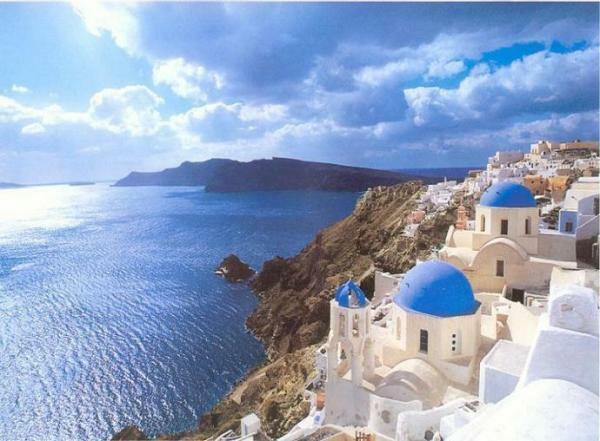 Often referred to as the «Prehistoric Pompeii of the Aegean» due to the geological changes which transformed this island. 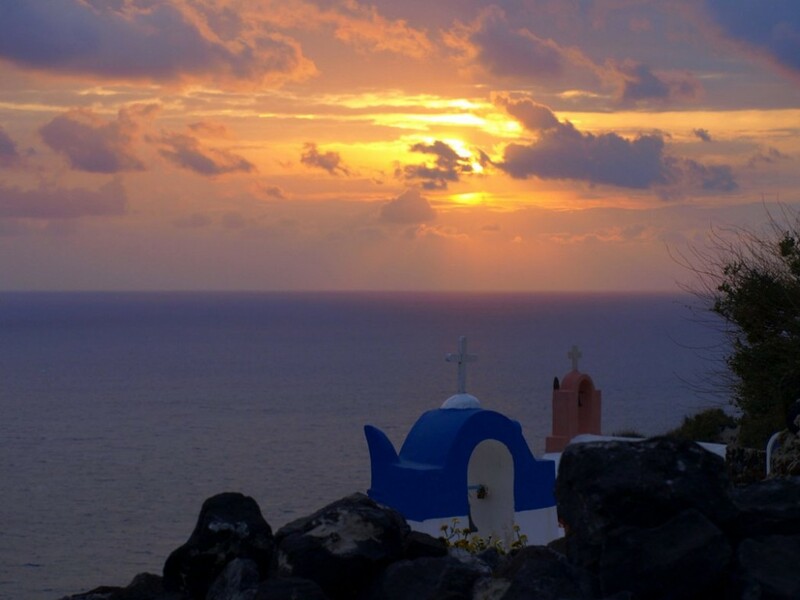 A volcanic explosion which took place 3500 years ago is believed to have been responsible for the annihilation of the Minoan civilization in Crete, which lies 70 miles southwards. 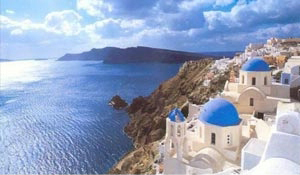 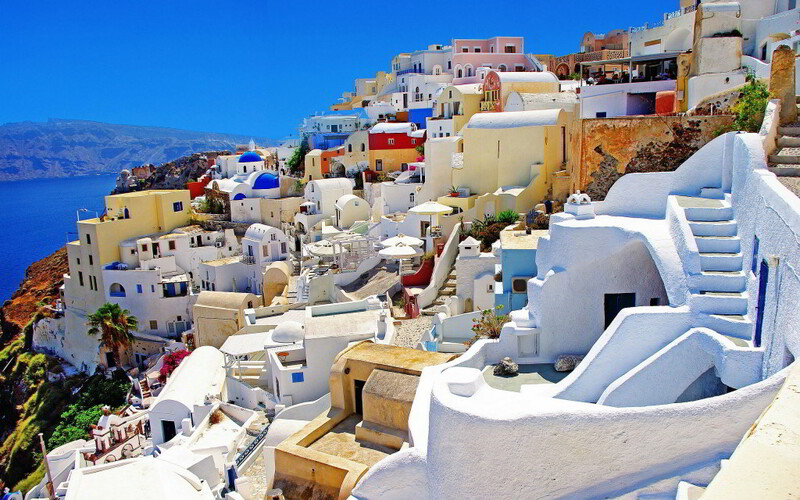 It is also believed that Santorini or Thira as the locals call it is part of the legendary lost continent of Atlantis which disappeared when the volcano erupted. 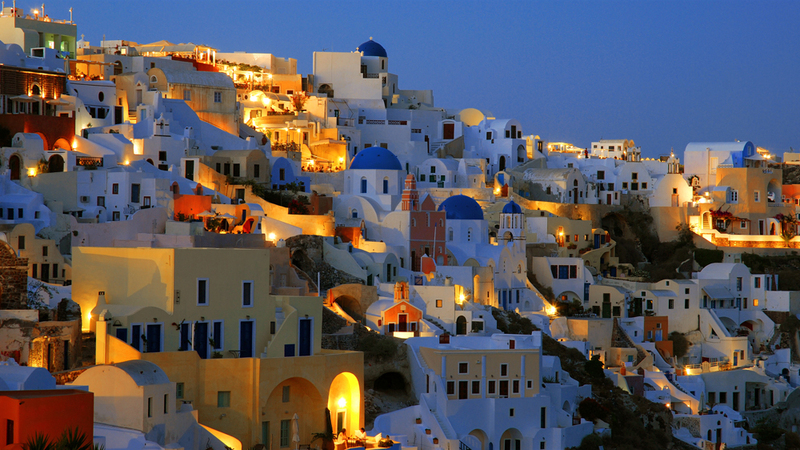 Whatever might be believed, Santorini is a minefield of archaeological interest featuring ancient Thira and Akrotiri with remains of its Minoan town. 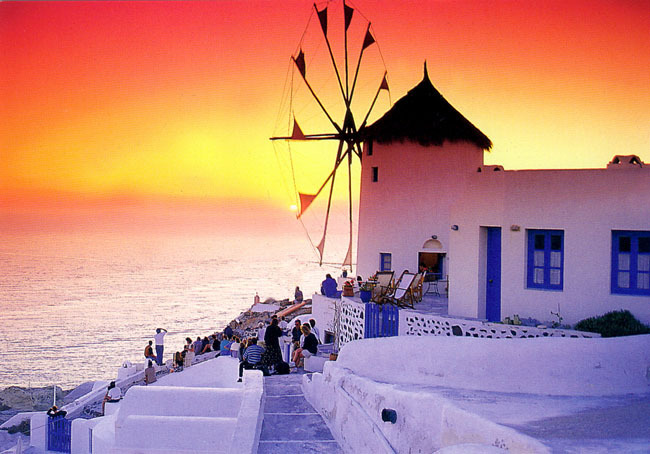 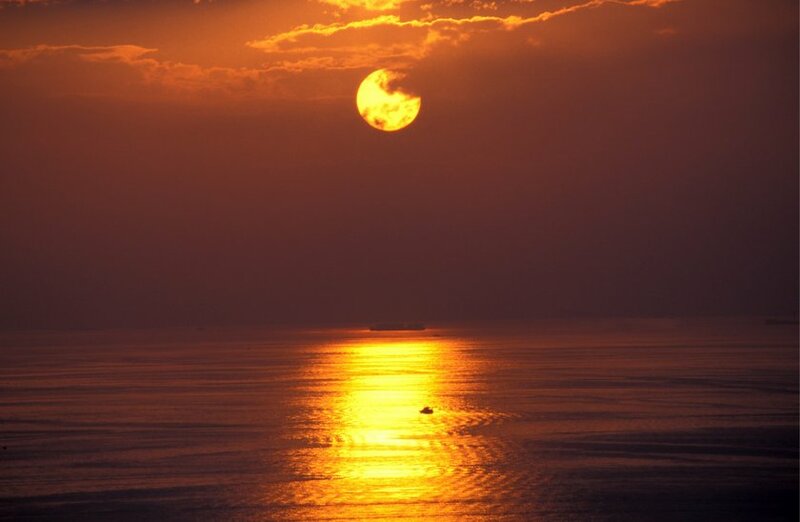 The island is renowned for its unique views and colorful sunsets. 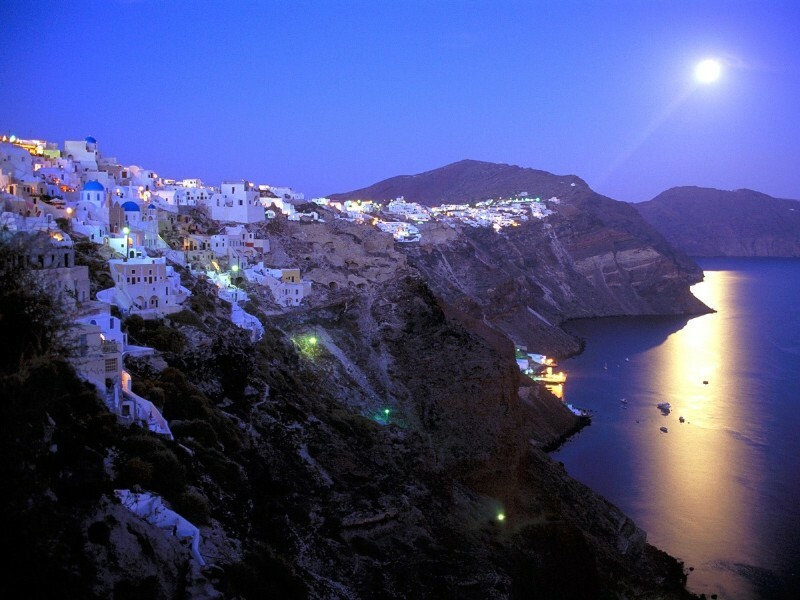 Fira is the island’s capital located at an altitude of 900ft, and can be reached by donkey, the easy funicular railway, or for the physically fit, climbing the 566 steeps! 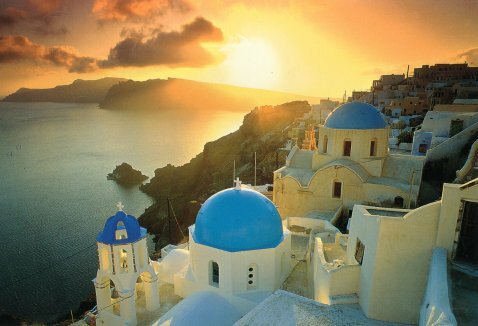 The entire island is filled with captivating churches, clusters of houses with its white-washed walls and lively market places. 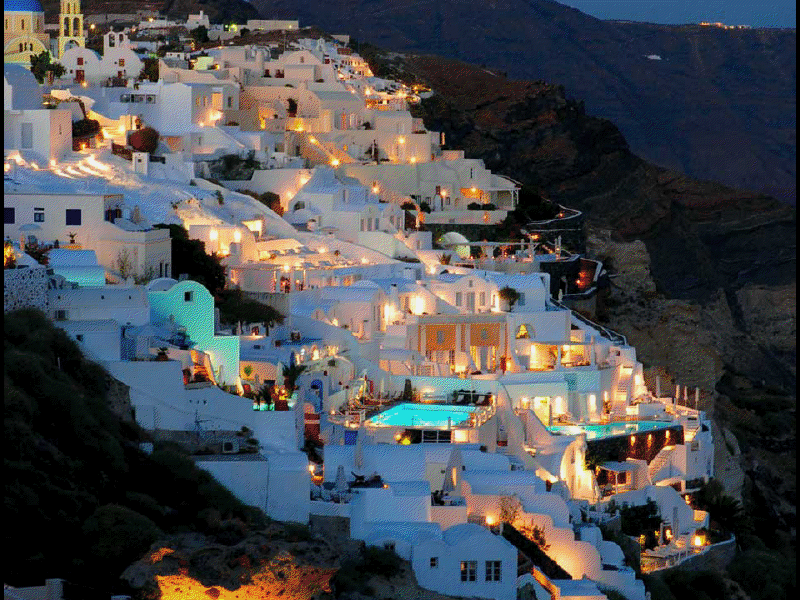 The island’s nightlife is enough to make even the larger, cosmopolitan cities of Europe envious!